Today the Makah Tribe announced that the National Oceanic and Atmospheric Administration plans to propose the authorization of the Neah Bay-based nation to hunt grey whales, reviving an ancient tradition that the tribe said presents “a purpose and a discipline which benefits their entire community.” The limited ceremonial and communal subsistence hunt in the waters around Neah Bay would allow for the harvest of up to three grey whales in even-numbered years and one in odd years. The NOAA proposal follows an application submitted by the Makah in 2005 for a partial waiver under the United States Marine Mammal Protection Act. The proposal is scheduled to be heard in Seattle Federal Court Aug. 12. This assessment would be followed by a final decision from NOAA Fisheries and other administrative approvals. 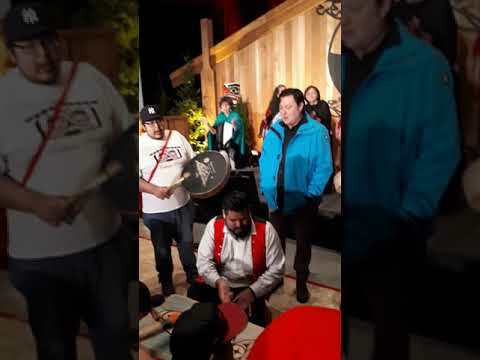 Located on the northwestern tip of the Olympic Peninsula, the 1,200 Makah members share the same ancestral language, traditions and lifestyle of Nuu-chah-nulth on Vancouver Island. For a tribe that lost its last fluent speaker in 2002, the return of the whale hunt presents a vital link to Makah heritage. Deposits at the Ozette village site reveal 2,000-year-old humpback and grey whale bones, as well as barbs from harpoons. “The Makah people have an enduring relationship with the sea and all marine creatures, but that connection is especially strong with whales,” said Makah Tribal Council member Patrick DePoe in a media release. Whaling is so important to the Makah that the 1855 Treaty of Neah Bay defines the right “of taking whales.” Overharvesting from the commercial whaling industry caused the near extinction of some species in the early 20th century, and a national moratorium continues to this day. Over the last century the Eastern Pacific grey whale has rebounded to a population of approximately 27,000. It was taken off the US Endangered Species List in 1994. The Makah’s last legal hunt occurred on May 17, 1999 when a grey whale was harvested for the community with the support of the US government and the International Whaling Commission. But in 2002 a federal court ruled that the ancient practice requires a waiver under the existing moratorium. A strong desire to revive the practice has endured, and in September 2007 five Makah members illegally hunted another grey whale. The animal was confiscated by the United States Coast Guard, and died within 12 hours while being brought back to sea, sinking to the ocean’s floor. The Makah Tribal Council denounced this hunt, announcing its intention to try the individuals in tribal court. Two served jail time.